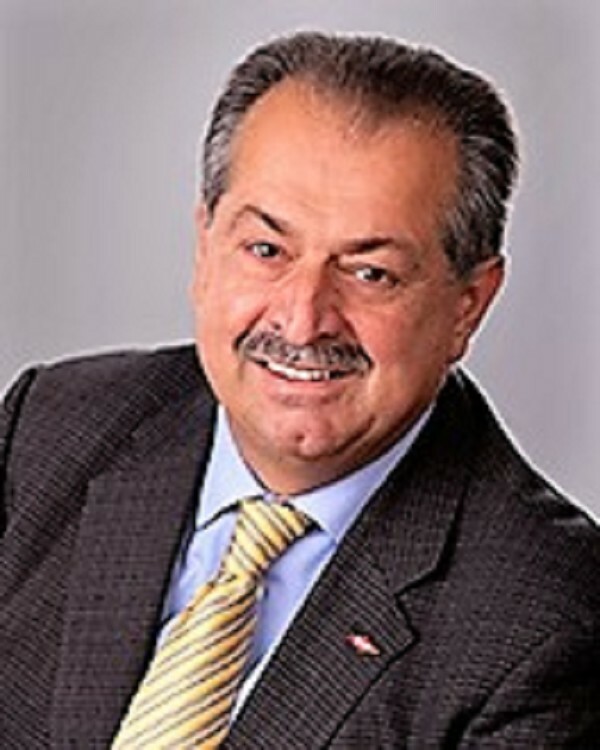 Andrew Liveris, Dow Chemical CEO. BREAKING NEWS: DuPont (NYSE:DD) and Dow (NYSE:DOW) signed a definitive deal in which they will combine in an all-stock merger of equals. Parties intend to subsequently pursue a separation of DowDuPont into three independent, publicly traded companies through tax-free spin-offs. DOW shareholders get a fixed exchange ratio of one share of DowDuPont for each Dow share, and DuPont shareholders get a fixed exchange ratio of 1.282 shares in DowDuPont for each DuPont share. Andrew Liveris, Dow Chemical CEO, is expected to head any new firm emerging from current talks with Dupont about a merger of the giant global companies. The Wall Street Journal said a merger would be followed by a three-way breakup of the combined company, the sources told the Journal. A deal has not been finalized, and the talks could fall apart, the people said. Also, Chinese regulators are eyeing the potential deal warily, according to reports. Liveris is expected to be executive chairman of the new company and DuPont's CEO Edward Breen will retain his position, according to the news reports. Dow Chemical's value is ranked at more than $60 billion, while DuPont's market capitalization is about $59 billion. The Dow-Dupont merger would create a chemical giant with more than $90 billion in combined sales in every­thing from plastics to industrial chemicals and agriculture. Dow was founded in 1897 as a bleach producer in Midland, Michigan, while Dupont was formed in 1802 in Delaware as a gunpowder manufacturer. The two firms are among the best-known names in the chemicals business, Dow specializing in plastics and agricultural chemicals, while DuPont has pioneered products such as Kevlar and Teflon. Both firms have come under attack from activist investors unhappy with their financial performances. Last year, Dow settled a brief but bitter dispute with Daniel S. Loeb, the billionaire who runs the hedge fund Third Point, by adding four independent directors. And this May, DuPont survived a board challenge by corporate raider Nelson Peltz, dealing the billionaire financier his first loss since he opened his current firm, Trian Fund Management, a decade ago. In both cases, Mr. Loeb and Mr. Peltz have argued that the chemical makers they were targeting suffered from corporate bloat and missed financial earnings targets. The two companies argued that they were taking steps to trim excess costs and improve their operations, as well as buy back shares and increase stock dividends.